Announcing…2014-2015 Abdelkader Global Leadership Prize essay contests for high school and college students across the U.S. with monetary scholarship awards and honors presented at both levels. Please visit the Abdelkader Education Project website for information and contest details. Students are encouraged to “sign-up” now to participate in the contest. Essays must be submitted before April 15, 2015. Educators are encouraged to “sign-up” to mentor student(s) and receive updates as they become available. AEP made its appearance when John Kiser presented his Fetzer White Paper titled, “Lessons From an Arab Warrior (Abdelkader’s Legacy of Empathy and Obedience, 1808-1883).” READ MORE George Mason University School for Conflict Analysis & Resolution hosted a roundtable discussion with prominent Muslim leaders on “Love and Forgiveness in Governance” on Nov. 13. The Forum was supported by the Fetzer Institute and explored the role of love and forgiveness in the leadership of the Organization of Islamic Cooperation’s member states. John Kiser will teach a five-week course for officers at Marine Corps University in Quantico, Virginia, starting the end of January 2015. Entitled, “France in Algeria, Lessons for the US in the Muslim World,” the course will explore the role of cultural competence, character and building right relationships on and off the battlefield. 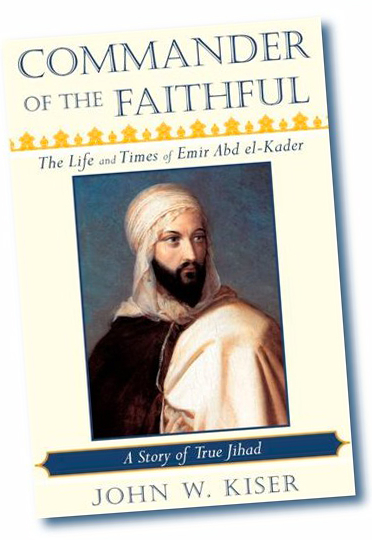 The Arabic translation of John Kiser’s biography Commander of the Faithful: The Life and Times of Emir Abdelkader has been completed by Yasmina Binbrinis (University of Oran, Algeria). Publishing partners are currently being sought. The translation was funded by US Embassy-Algiers. Abdelkader Education Project is collaborating with the Center for the Study of Jewish-Christian-Muslim Relations at Merrimack College in North Andover, Massachusetts, in association with Harvard’s Pluralism Project, on the dissemination of a case study entitled, “Emir Abd el-Kader: Rumors in Damascus.” This case study is available for interested individuals, educators and community organizations to examine events leading up to Emir Abdelkader’s intervention in 1860 to save Christian lives in Damascus. Visit the Harvard Pluralism Project website to view the case study and click “Rumors in Damascus,” cases A and B. Beginning January 2015, Islamic Network Group, an educational outreach organization in San Jose that teaches about Muslims and their faith, will release a new online curriculum for high school and college students. 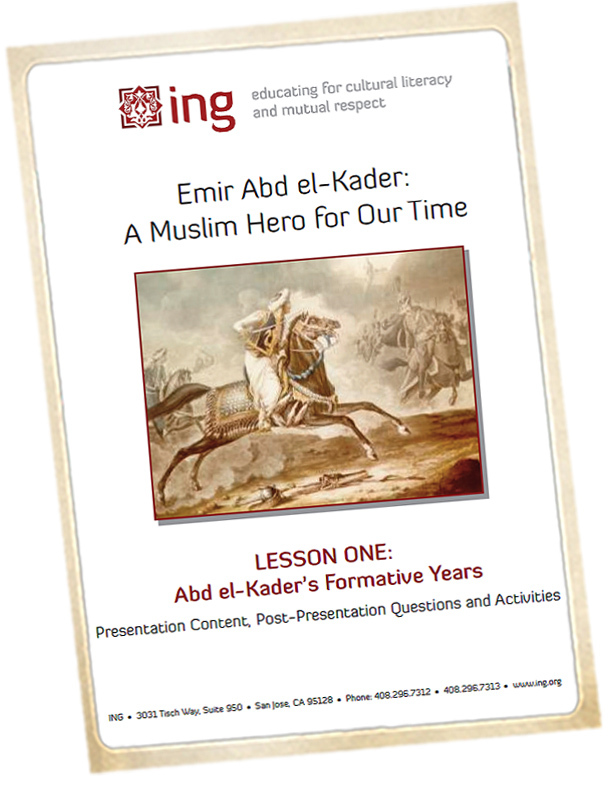 The curriculum, “Emir Abdelkader: A Muslim Hero for our Time,” includes a digital presentation with five lesson plans and draws upon John Kiser’s book, Commander of the Faithful. Each lesson contains descriptive text to accompany the digital presentation, as well as questions, activities, links to video clips and teacher resources. Lessons focus on many themes and address specific state and national educational standards. Kiser’s book can be downloaded as part of a single package. Learn more at www.ing.org. 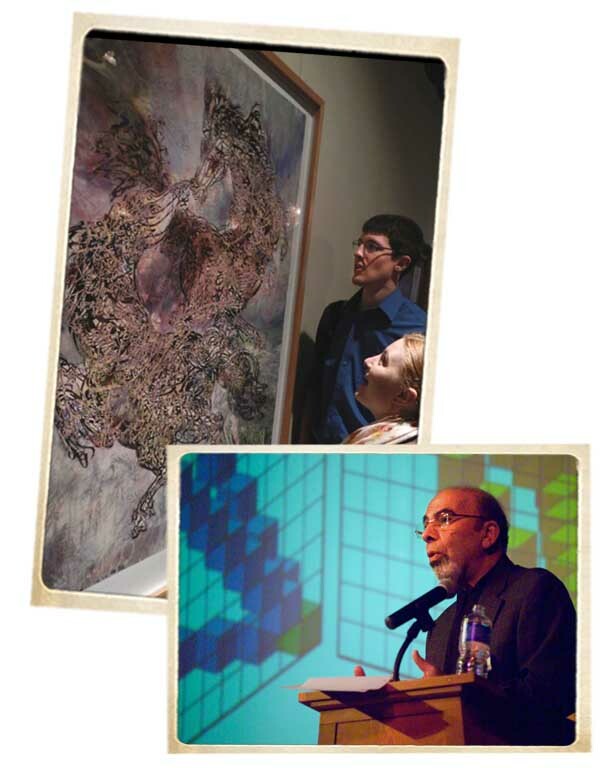 Dr. Ahmed Moustafa of London was featured in the Humanities Iowa publication, “Voices from the Prairie” Summer 2014 edition. Moustafa is a scholar and artist of international repute and leading authority on Arabic art and design. He was keynote speaker at the 2013 AEP Forum “Art, Ethics, and The Emir” in Elkader. Click here to read the article in “Voices from the Prairie.” Humanities Iowa is part of the National Endowment for the Humanities, Washington DC. The Arabian Sights Film Festival in November at the Goethe Institute in Washington DC featured “Abdelkader,” a creative two-hour documentary by French documentary film-maker Salem Brahimi. The film draws upon interviews in Elkader (Iowa) and other locations around the globe. Funded by the Algerian Ministry of Culture, the film presents Emir Abdelkader’s life story, the naming of Elkader, and how his memory is being showcased and revived through the Abdelkader Education Project based in Elkader. Interviews with John Kiser and Kathy Garms are included. R. Vincent Taylor of Chicago consults with large companies on design and operation of commercial and legal functions and serves on the board of directors of the Student Conservation Association. He recently retired from the senior ranks of Accenture, a Fortune 500 global consulting firm. His career is notable for building award-winning organizations committed to excellence in negotiations and mutually-beneficial business relationships. Vince has worked across the globe, experiencing different cultures and varying approaches to resolving differences and achieving success through collaboration and teamwork. Vince is an avid outdoorsman, student of post-Enlightenment western history, US constitutional history and, most recently, is learning the history of Islam. He is a lawyer and accountant by education and practice, a graduate of Duke Law School and Lemoyne College. Ways to Support AEP, Inc. Sponsoring Abdelkader Global Leadership Prize essay contests and other AEP programs demonstrates commitment to enhancing global education for teachers and students in addition to providing vital global perspectives for social and political leaders around the world. Today’s young people are tomorrow’s leaders and investing in their education is crucial for a better understanding of our global society. To become a funding sponsor and learn ways to help, please contact Kathy Garms at kathygarmsaep@gmail.com. Abdelkader Education Project (AEP, Inc.) is a 501c3 non-profit organization that endeavors to broaden global perspectives about the Middle East and Islamic culture through the legacy of Emir Abdelkader (1808-1883). His life story inspires cultural literacy, civility, tolerance, and understanding while exploring models of ethical leadership, moral courage and humanitarian conduct. 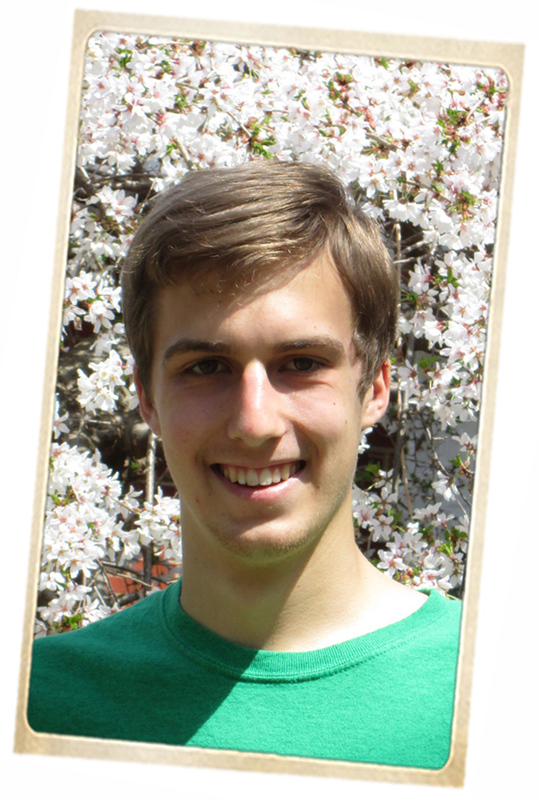 With roots in Elkader, Iowa, AEP is a citizen diplomacy initiative with the belief that all citizens have a vital role to play in global citizen diplomacy. Learn more at www.abdelkaderproject.org.